The Paloma is a tall, cool sipper. That – plus great flavor – makes it perfect for fighting summer’s heat. With the weather we’re having in our part of the world, we need all the coolth we can get. Bring on The Paloma. Por favor. The Paloma is a mixture of tequila, lime juice, and grapefruit soda. In Mexico, you’d probably use the Jarritos soda brand. That’s not easy to find in the US, so most drinkers use Squirt or Fresca (we prefer Squirt; see Notes). You can make this drink with a salted rim (like a Margarita) if you want. But cocktail historian extraordinaire David Wondrich suggests adding a pinch of salt to the drink instead. We tried that, of course. And liked it, so that’s what we recommend. Place the tequila, lime juice, and salt (if using) in a cocktail shaker half filled with ice. Shake until the contents are well combined and chilled (20 seconds or so). Strain into a tall glass filled with ice cubes. Top off with grapefruit soda. Add garnish, if desired, and serve. You can “build” this drink in a glass if you prefer: Fill the glass with ice cubes. Add the tequila, lime juice, and salt. Top with grapefruit soda. Stir briefly, add garnish if desired, and serve. The best tequila contains 100% agave, so that’s what we suggest you look for. Blanco/silver tequila will work in this drink, but we prefer the slightly smoother flavor of reposado (smoother because it’s been aged a bit). We strongly recommend adding the pinch of salt. It adds a bit of tangy seasoning that combines well with the tequila and lime juice. In the US, you can find several brands of grapefruit-flavored soda, notably Squirt and Fresca. We’ve heard that the Ting and Kiss brands are good, too, but we haven’t tried them. Squirt was the original grapefruit soda, and that’s what we like to use. BTW, you can buy Squirt in smallish cans – the perfect size for about two Palomas. Squirt soda dates back to 1938, when it was invented in Phoenix by Herb Bishop. Originally called Citrus Club, it was the first soft drink to contain grapefruit. Even though Squirt has a distinct grapefruit flavor, it actually contains less than 1% grapefruit juice. For those who take medications that can react badly with grapefruit, this is good to know. But do check with your doctor before consuming any grapefruit product if your medication has a label warning against it. So where and how did the Paloma Cocktail originate? No one knows. One popular story says it was created by Don Javier Delgado Corona, owner of a bar called La Capilla in Santiago de Tequila, Mexico. 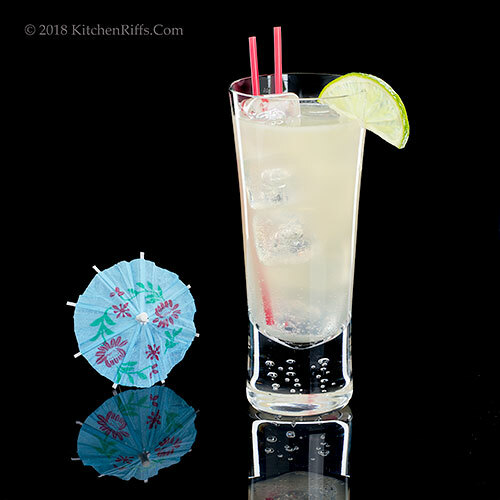 Whether Don Javier created the Paloma or not, he for sure created a cocktail called the Batanga, which is made with tequila, Coca-Cola, and lime juice. BTW, La Paloma means “the dove,” which is also the name of a popular Spanish song written in the 1850s. It’s possible the drink was named after the song. “How did you know, my little chickadee?” I said. Hi Kelsie, this is a good one, isn't it? And I'm really thirsty too, just looking at the pictures! :-) Thanks for the comment. More grapefruit containing drinks? Yes please! Hi Caroline, we're doing a grapefruit theme for cocktails at the moment. Perfect for summer, no? :-) Thanks for the comment. I've enjoyed more than one of these in Mexico, but have never tried making it at home. The ingredients are on hand so I know what I'll be doing at 5:00! ¡Salud! Hi Pam, isn't this a wonderful drink? Very refreshing. Which we need right now. :-) Thanks for the comment. Did I mentione I am going to Mexico City iin February? So going to have to order lots of Palomas! I like the idea of adding a pinch of salt to the drink itself. Thanks for sharing! Hi Evelyne, adding salt to the drink itself really makes a difference. We've never been to Mexico City -- we need to get there! :-) Thanks for the comment. I have never tried one of these and I like tequila. :) And thanks for the tequila recommendation too -- need to look for that as well. Hi Judy, you'll like this! A lot of flavor, and very refreshing. :-) Thanks for the comment. I have a feeling I'd like this even more than a margarita. It sounds delicious. Wow John this sounds super refreshing. Even I would love this! Hi Pam, we LOVE a margarita, but the Paloma gives it a run for its money. Thanks for the comment. Hi Vicki, I think you'd really like this -- not too boozy, plenty of flavor. Thanks for the comment. Grapefruit is so refreshing and we love all cocktails made with it. Bring it on!!! Have you ever tried pomelo- the fruit? Just thinking that the sweet and spunky flavor would be fabulous in a cocktail too. Love this John! Hi Valentina, there's always the next time you're in Mexico. :-) Or just get your husband to share and have one of these at home! Thanks for the comment. Hi Bobbi, no, I don't believe I've ever had pomelo. Will have to do it, and see if we can figure out a drink for it. :-) Thanks for the comment. Hi Susan, this would probably be pretty good without the tequila. Maybe increase the amount of lime juice a bit. Actually your suggested mocktail sounds perfect! Thanks for the comment. All I need now is some sand between my toes and some warm tropical water splashing on my feet!! Hi Dahn, yup! :-) Thanks for the comment. Hi Emma, grapefruit is nice in drinks. Definitely not used enough! Thanks for the comment. This sounds so refreshing! I don't drink soda but might to try this lovely drink. I enjoy tequila - and lime, and salt and well I need this drink. Hi Tricia, we don't drink much soda, either, but bought some just for this drink. Worth it! Thanks for the comment. Oh yeah! This sound delicious for the summertime, plus a grocery near me sells Jarritos. Hi Anne, this is a terrific summer drink! And how neat you have easy access to Jarritos. :-) Thanks for the comment. Hi Sherry, lime juice is terrific! Too bad tequila doesn't agree with you, but if it doesn't it doesn't. :-( Thanks for the comment. Was just at the Mexican mercado a couple of days ago and saw a wall of fruit soda. I'm sure they had grapefruit. Guess I need to go back because this might be a good cocktail for that smoked aquila we have from Glencoe. Look forward to trying this! Thanks John. Hi MJ, you NEED some grapefruit soda in your life. Or rather, in this drink. :-) Thanks for the comment. Gorgeous shots, as always! The Dove...such a lovely name for a perfect summer cocktail, John. Ah you know the kind of drinks a person needs when the weather is persistenly sunny! Delicious! Hi Angie, isn't the Dove a great name for a drink? Good drink, too. :-) Thanks for the comment. Hi Simone, we've been slurping really refreshing drinks lately! :-) Thanks for the comment. I will remember the name of this cocktail because a long time again there was a song called La Paloma that I loved. I am singing it right now. I have a feeling this drink is better than a margarita. Prost! Hi Gerlinde, yup, that's a nice song. And this is a nice drink -- and may indeed be better than a margarita (hard as that is to believe!). Thanks for the comment. The sweet and tangy grapefruit flavor is so inviting. With your fabulous photo I know this drink is wonderful! Hi Deb, it's a wonderful drink! :-) Thanks for that very kind comment. 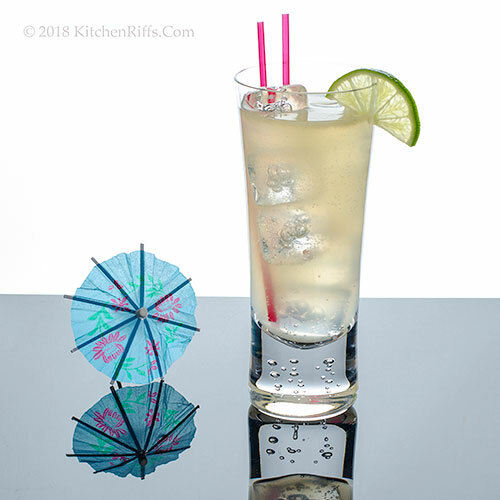 This cocktail looks so so refreshing...indeed perfect for the hot summer...I have never had a cocktail made with grapefruit soda. Have a wonderful rest of the week John! Hi Juliana, it IS refreshing! :-) Thanks for the comment. Hi Greg, easy to find the fixings for this in Mexico! Hope you have a terrific time. :-) And thanks for the comment. TEQUILA FOR THE WIN! That was one of the alcohol's I actually could drink! Hi GiGI, you could! Particularly with non-sugar grapefruit soda. In a few months, of course. :-) Thanks for the comment. What an interesting cocktail. I've never had tequila with grapefruit, but it seems like such an obviously good combination. Hi Jeff, it's a great combo! We really like this drink -- maybe even more than the Margarita, which is one of our favorites. Thanks for the comment. You mentioned agave? I have several agave plants in my garden- good to know that tequila is made from them! I haven't heard of this drink before but will put it on my radar for sure! HI Fran, this is a really good drink. And easy! Bet you'll like it if you give it a try. :-) Thanks for the comment. Hi Carolyn, those little umbrellas are cute, aren't they? :-) Thanks for the comment. We drink a lot of these around here but often sub in real grapefruit juice. Manservant loves his Squirt though! 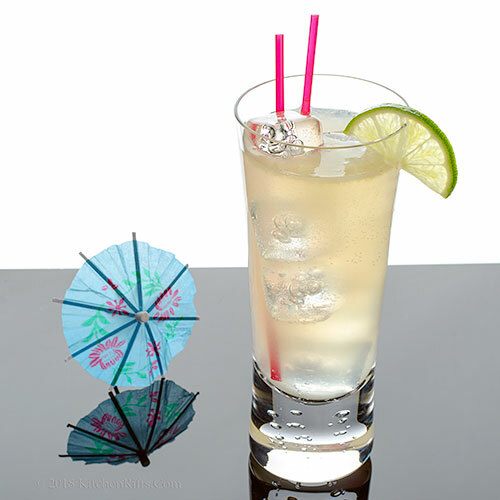 Hi Abbe, these are pretty good with grapefruit juice and some club soda (or lemon-lime soda). Squirt is actually a pretty good soda, although we only use it in these. :-) Thanks for the comment. Living so close to the border, I am surprised that all we see on menus are margaritas - La Paloma is definitely a superior drink. Generally, margaritas - even in some good places - are made with a mix. "But our mix is so much better!" Not. 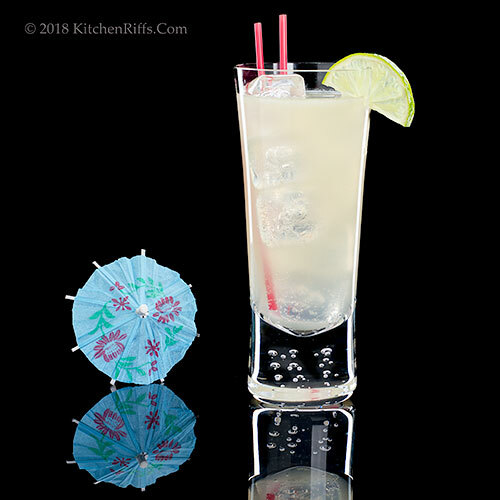 La Paloma is much more refreshing - and I am grateful for a recipe. One good thing is that reposada is readily available here - and what a difference! Hi David, a lot of bars here make their margaritas with a mix too. Mixes are just vile! Just can't compare to actual lime juice. Anyway, La Paloma is a wonderful drink -- don't think it's replaced the margarita for me, but it's really close. And if I want a slow sipper, it's absolutely my first choice in summer. Thanks for the comment. I'm so excited to try this! Do you have a print button? Hi Mimi, you'll enjoy this -- I know you don't like drinks that are too strong. Alas, no print button -- never found a recipe plug-in we liked that words on Blogger. Plus the way we write our recipes (the Notes), the plug-ins don't really work. Thanks for the comment. Hi Debra, you can certainly make this with mezcal, but most "authorities" -- at least in the US -- make it with tequila. Same deal with the margarita -- mezcal works, but tequila is much more common. But whatever floats one's boat. :-) Thanks for the comment. John, I've had lots of margarita in my day, but I've never tried a La Paloma cocktail! I'm definitely ordering one next time we're at a restaurant, and thanks to your post we'll be able to make our own to get us through the rest of summer :0) Looks soooo refreshing! Hi Marcelle, this IS refreshing! And mighty tasty. Enjoy. :-) And thanks for the comment.